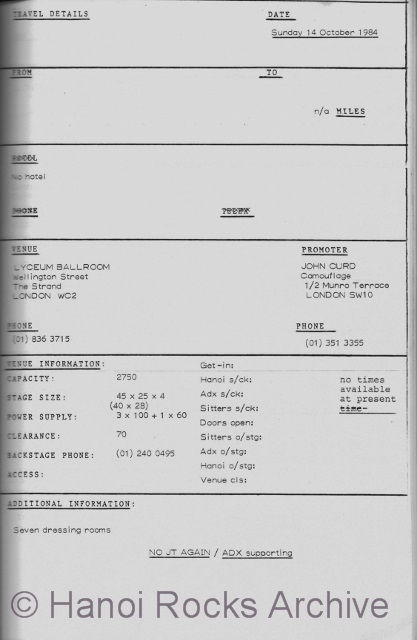 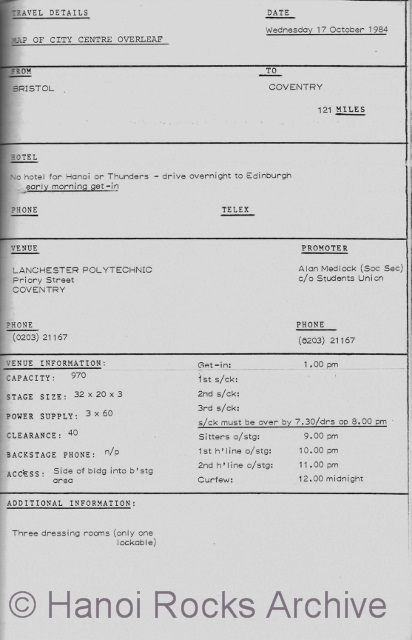 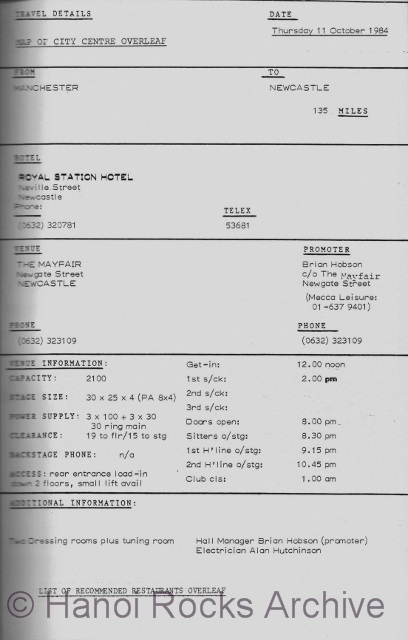 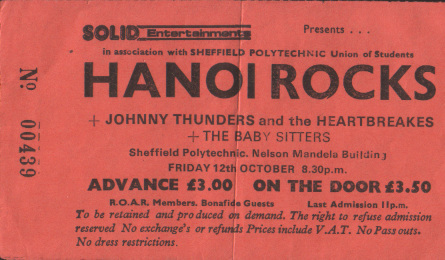 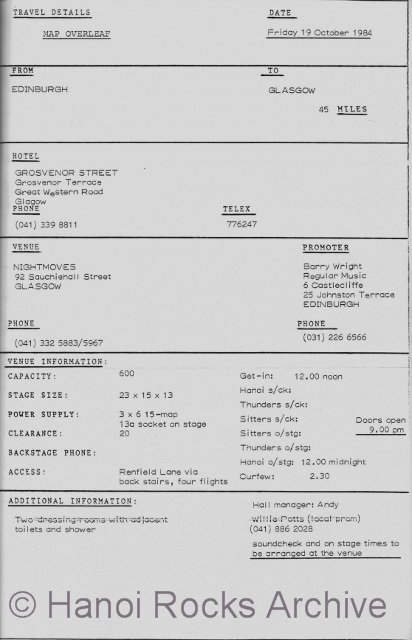 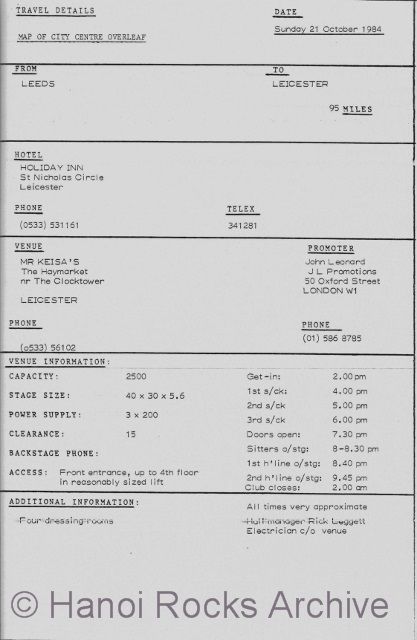 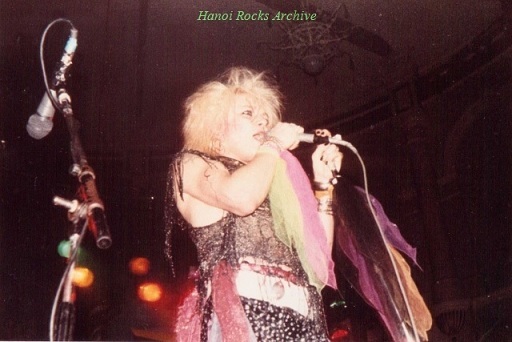 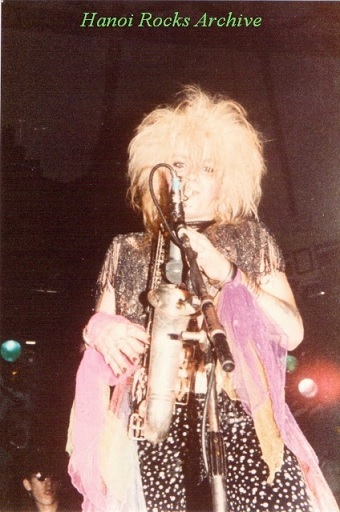 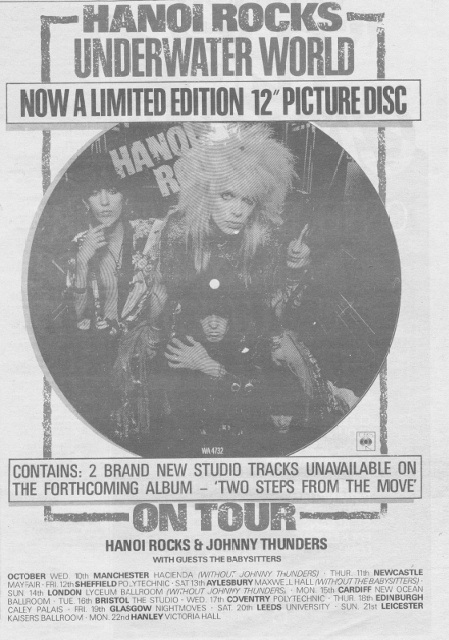 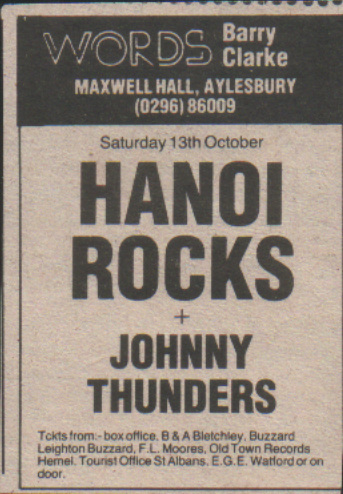 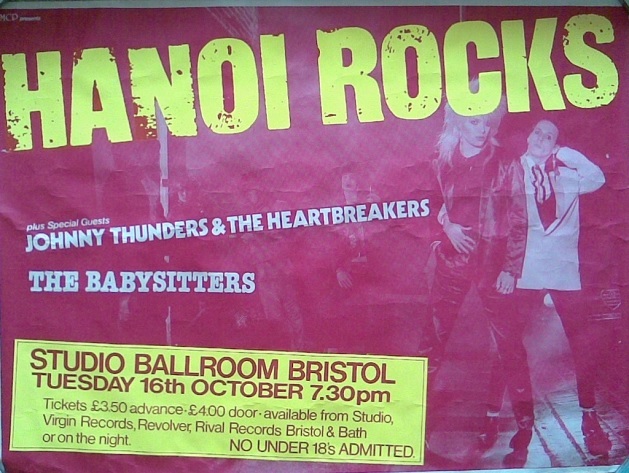 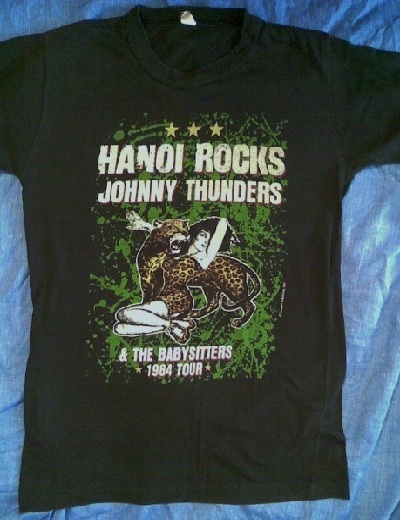 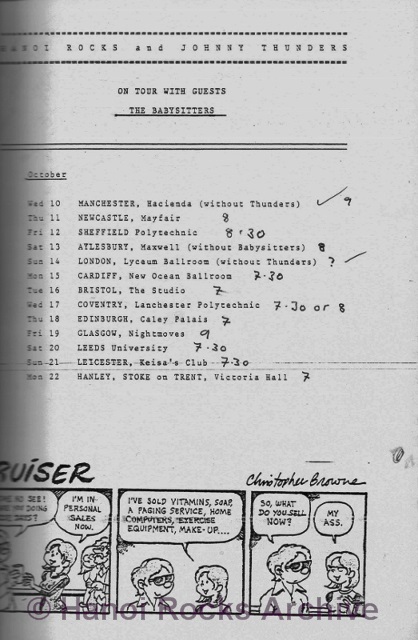 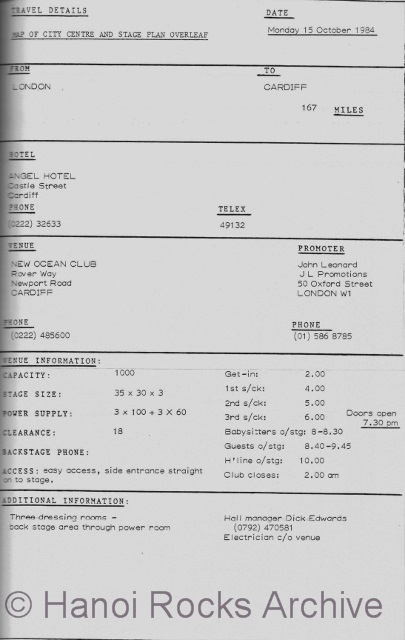 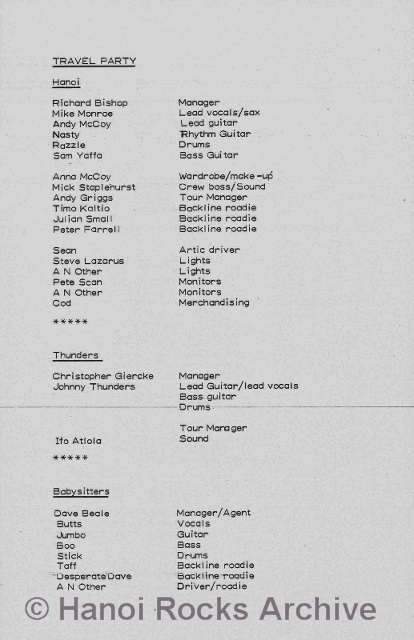 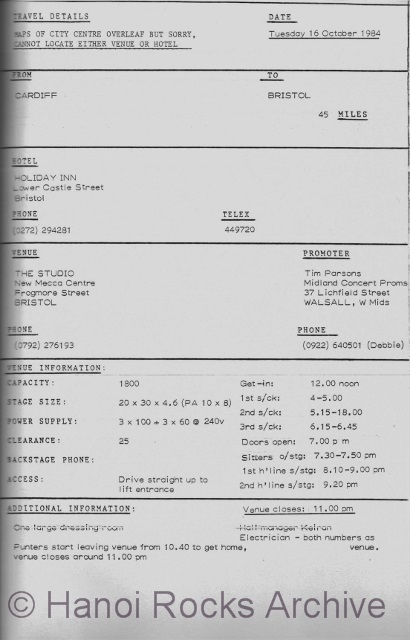 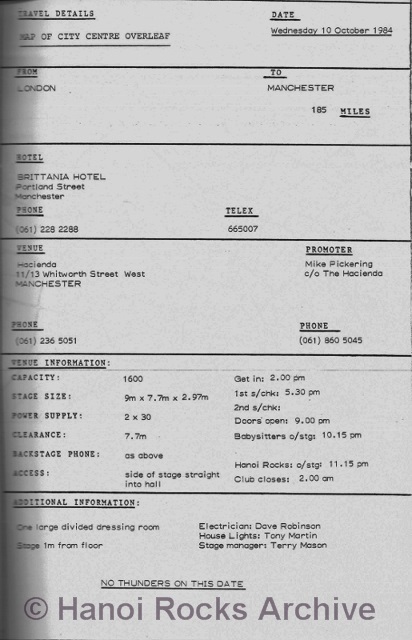 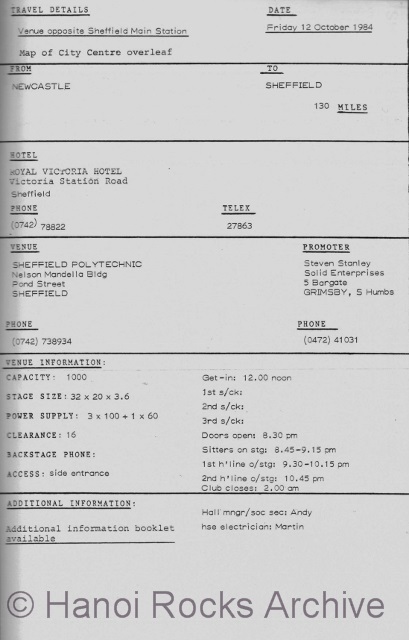 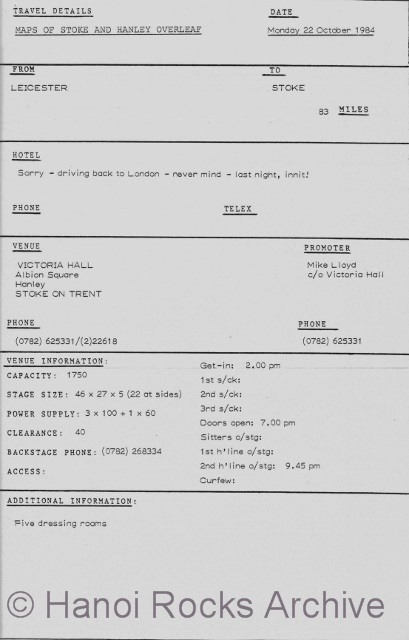 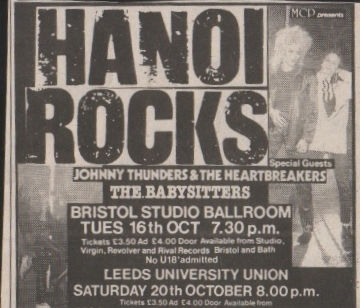 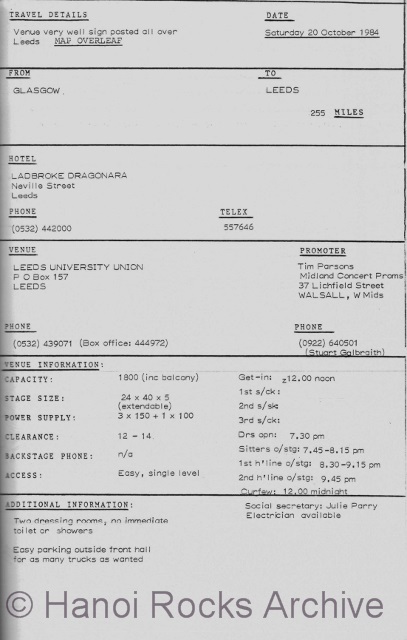 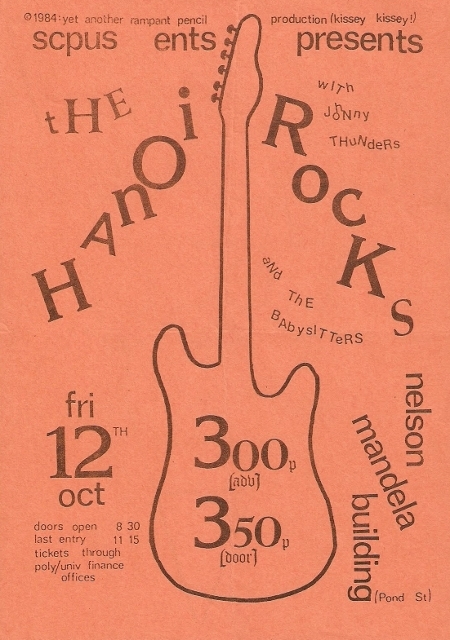 In October 1984,Hanoi Rocks,Johnny Thunders and The Babysitters started their 13 date U.K. tour.Starting in Manchester on the 10th and finishing at Hanley on the 22nd. 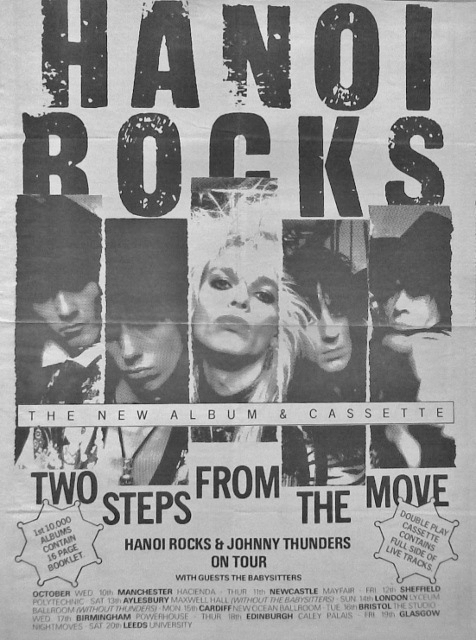 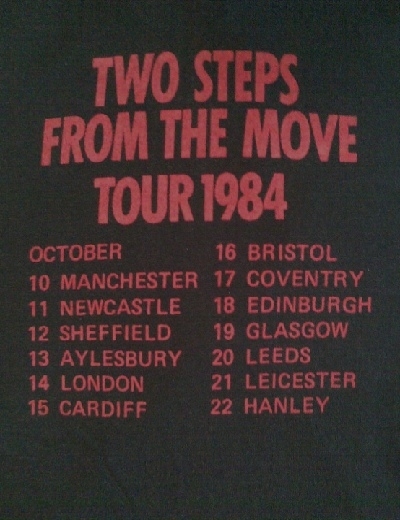 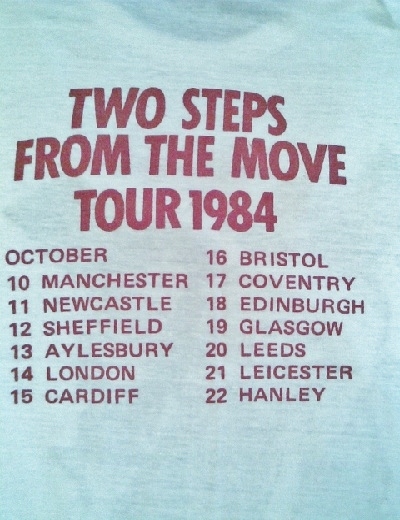 The 'Two Steps from the Move' album had finally been released in the U.K after months of delay and the band took to the road to promote it. 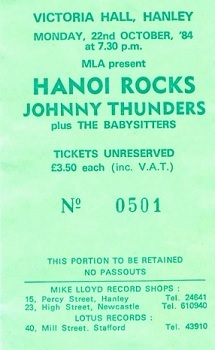 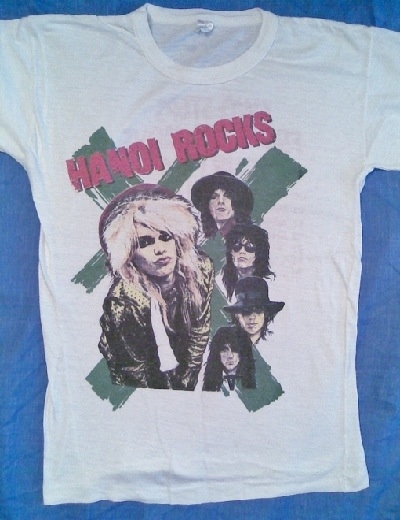 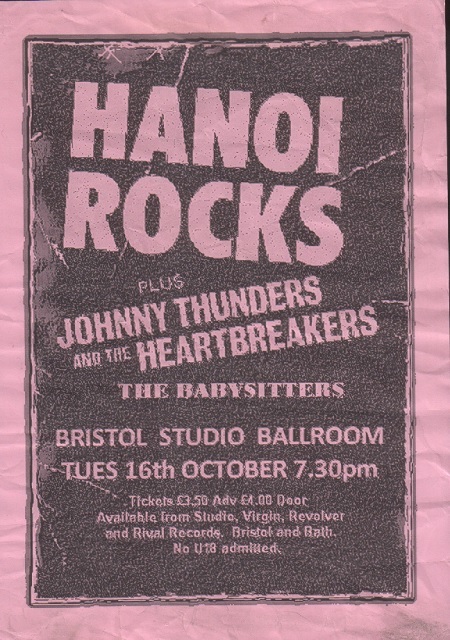 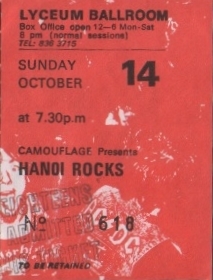 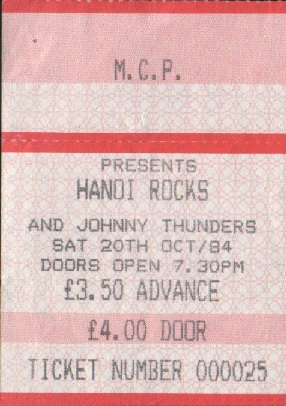 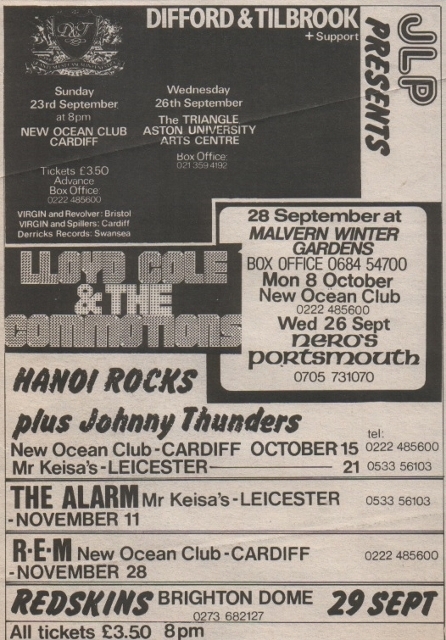 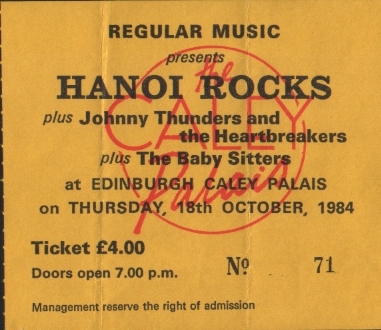 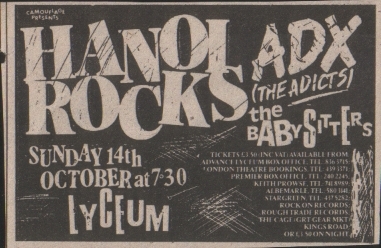 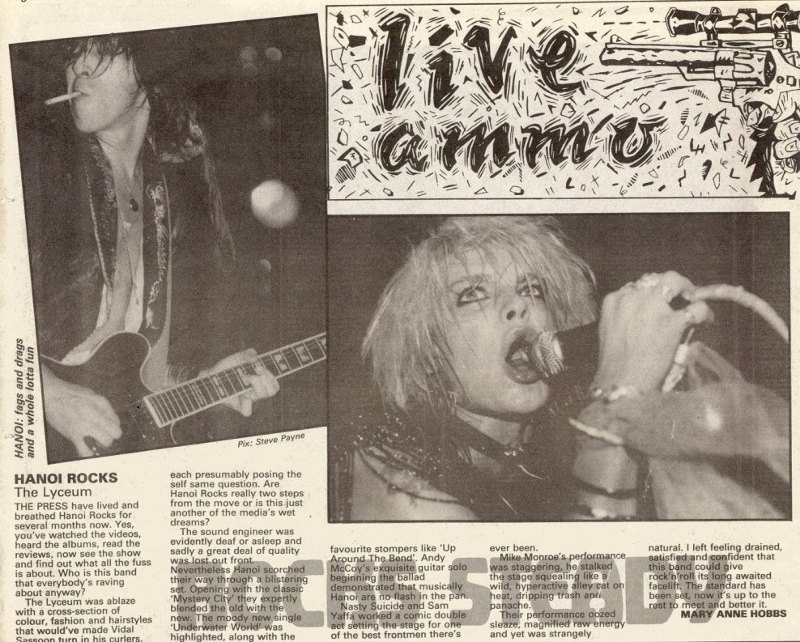 Of all the gigs I saw Hanoi Rocks play this tour remains my personal favourite.Each night Hanoi Rocks would be joined by Johnny Thunders for the encore of 'Pills' & 'Gloria'and opening band the Babysitters provided their own brand of Rock n' Roll mayhem! 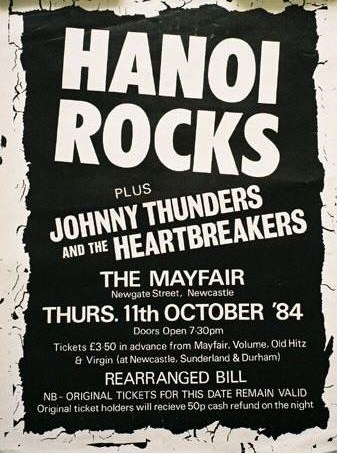 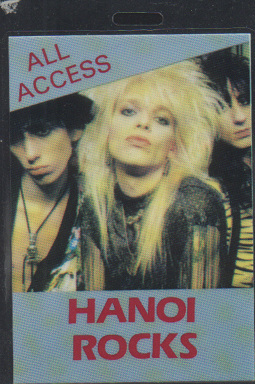 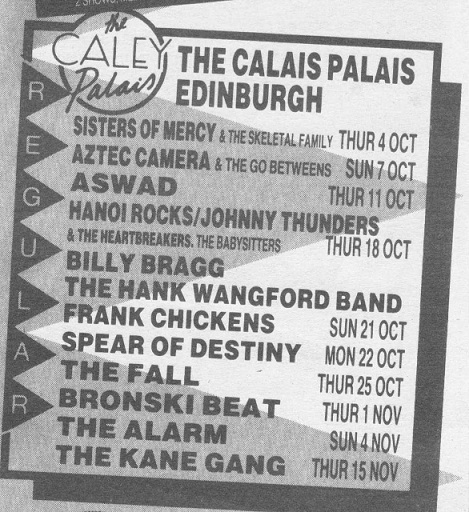 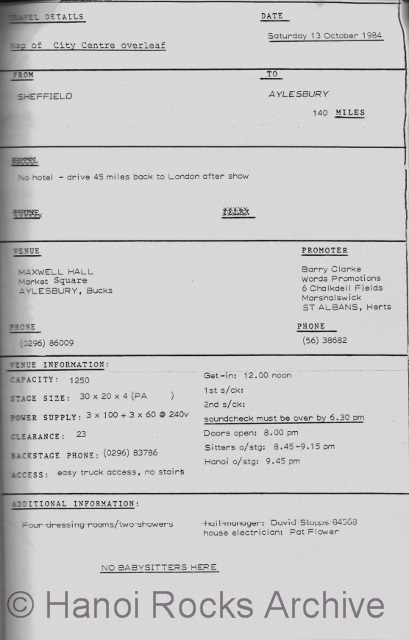 The Hanley gig would turn out to be the last ever U.K gig the 'classic' Hanoi Rocks line-up would play.Razzle died in a car crash just Seven weeks later and Sam Yaffa left the band shortly after that.